In the previous posting, I discussed Walt Whitman’s When Lilacs Last in the Door-yard Bloom’d. I think of today’s much shorter poem by the same writer as a companion to that longer work. It seems to complete and lay to rest, in peace and simple beauty, the turbulent emotions expressed in the first poem. Both are in his book Sequel to Drum-Taps. The final surrender of Confederate troops had taken place on June 2, 1865, marking the end of the terrible American Civil War that had divided friends, family members, and the country. Reconciliation is made vivid and immediate to us by the image of Whitman walking to the coffin where his enemy lies — in his bending down, and gently kissing the face in the coffin. And Whitman sees the great tragedy in that hard fact, the tragedy that was the Civil War. We feel the end of that war in the man lying there; and in Whitman’s kiss, the seal that completes it: Reconciliation. Though he has his memorable phrases, I always have the feeling that Eliot is writing in a room hermetically sealed off from Nature, as though he lives more in the mind than in the world. His is a dry poetry of the intellect. At first glance we might think this is just a poem about lost love, but there is far more to it than that. 1. Lilacs bloom in April. 2. Abraham Lincoln was assassinated on the evening of April 14, 1865. After lying in a coma for nine hours, he passed away on April 15, 1865. He had guided the young United States through the major part of the greatest crisis and upheaval since its founding — the Civil War. 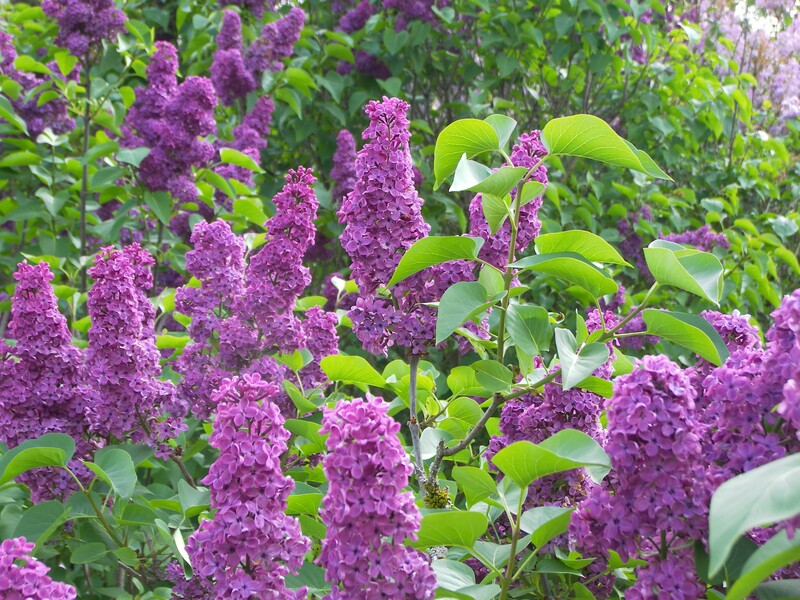 It used to be common for houses — particularly farmhouses — to have a lilac planted nearby, so that its fragrance and beauty might be easily enjoyed. Whitman looks back on that April and its strange mixture of the scent of lilacs in the yard by the house door, and the death of Lincoln. When lilacs last in the door-yard bloom’d…. But something else accompanies the lilacs: the great star — the evening star, which is the planet Venus — hanging low in the western sky on an April night. This star is a symbol of Lincoln to Whitman, a star that will set in the West. Those of you who are long-time readers here will recall that from time immemorial, the West has been associated with death, as has the evening star. Each spring, like this one, will bring a trinity, a threeness of things to Whitman. Those three things are the lilac blooming perennial, the drooping star in the West, and the thought of “him I love” — that is, of Lincoln. He sees a lilac bush blooming in the yard of a simple old farmhouse, a bush planted near the white-washed picket fence that marks off the yard. It stands tall, with rich green leaves in the shape of a heart (a hint of Whitman’s deep emotions in this poem), and with spire-shaped, delicate blossoms with their wonderful, strong fragrance. 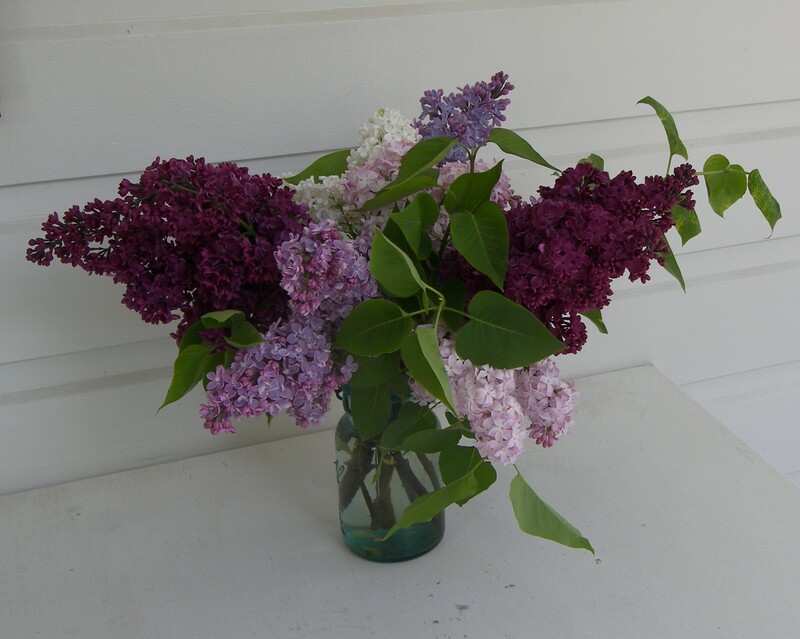 From this farmyard bush, with its heart-shaped green leaves, Whitman picks a sprig of lilac. We shall see why later in the poem. 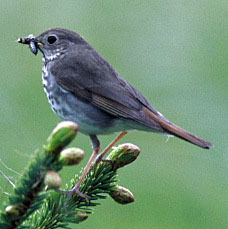 This is the Hermit Thrush (Catharus guttatus), a plain-looking bird with a very beautiful song. It is called a “Hermit” because it likes to hide away in leafy, forested areas and tends to solitary habits except during the mating season. And what is its song? Whitman hears the thrush’s song as a “song of the bleeding throat,” that is, a song of pain and suffering. The bird, he thinks, sings because if it did not express its sorrow in that way, it would surely die. That is why he calls its song “Death’s outlet song of life,” and speaks of the bird as his brother; Whitman too feels he must sing out his grief for Lincoln’s death in poetry, or else that grief would kill him. Whitman’s America was still a very rural America. He sees, passing through the land in spring, a journeying coffin. This is the funeral train that left Washington on April 21, 1865. It carried the coffin with Lincoln’s body on a long route that passed through Maryland, then Pennsylvania, then New Jersey, and into New York. Hundreds of thousands of people sadly witnessed the passing of the train and viewed the body in cities along the way. In New York City, on Tuesday, April 25th, the coffin was placed on a funeral wagon pulled by sixteen horses, and then it was drawn in procession down Broadway and other streets filled with mourning throngs. On return to the train, the coffin was carried on through New York and into Ohio, with more stops and processions along the way. It came to Indiana. On Sunday, April 30th, it passed through Richmond to the tolling of all the church bells. After more stops in Indiana, the funeral train proceeded into Illinois, where again thousands of mourners viewed the body. Finally it reached its destination: Springfield, Illinois — Lincoln’s hometown — where the body was at last laid to rest in its tomb. So the funeral train passed through cities, lanes, woods, fields of grass and wheat, and through “apple-tree blows of white and pink in the orchards,” that is, through blooming apple orchards. Everywhere mourners sadly watched its passing. He muses that the star, declining in the sky night after night, had been a sign with something to tell him as he walked in the evenings, unable to sleep. He sees now that star was filled with woe (sadness, misfortune), and as it sank to disappear in darkness, so Whitman’s spirit sank with it as well. The perfume for the grave shall be winds from the sea, winds that blow from the East and From the West, and meet on the prairies of the Midwest. Those, together with the breath of Whitman’s poem, shall be (symbolically) the perfume for Lincoln’s grave. But, Whitman asks, what shall he hang (again symbolically) on the walls of the tomb in which Lincoln is buried? To Whitman the voice of the Hermit Thrush, a song filled with woe, is like a human voice — a reflection of his own sorrow. Whitman knew what he was talking about; he had been a nurse in the Civil War, and saw suffering and death first-hand and immediate. But, he says, all those dead young men were at last at peace. 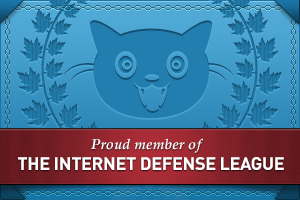 They no longer suffered. It was the living who suffered now for the loss of those precious lives — the mothers, the wives, the children, the friends of the dead and the armies of those who fought but survived.